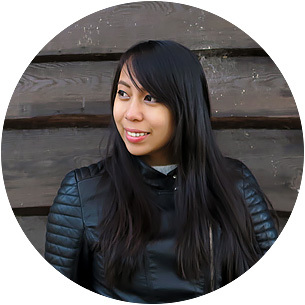 It proved to be a bit of a difficult task though… until one day, I saw a striking photo online of Kaila (a friend of mine who has been living in Japan for quite some time) wearing a stylish bomber jacket that had bold but intricate oriental designs. In that instant, I was unable to take my eyes away, and I started to have the strong urge to get my hands on one! 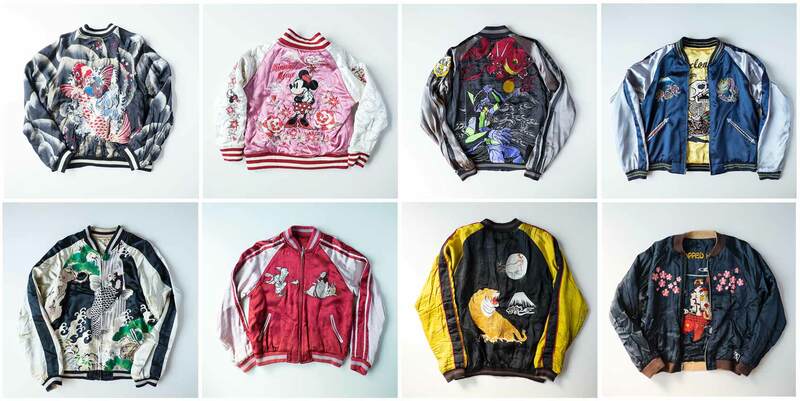 I immediately messaged Kaila and asked what it was, where I could get it, etc… and that’s when she introduced me to the wonderful world of Japanese souvenir jackets called as sukajan. » What is a sukajan? 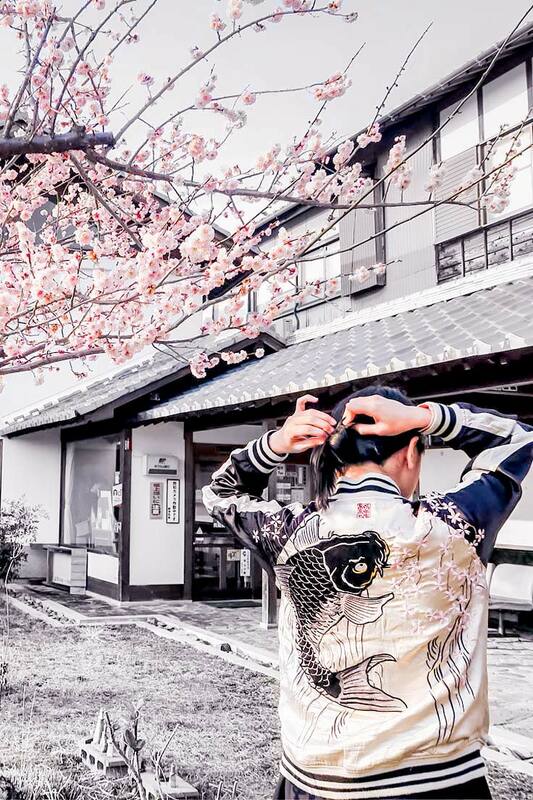 A “sukajan” is a ‘souvenir jacket’ from Japan and it is usually made of silk or satin that combines the typical bomber jacket / Letterman jacket / varsity jacket style with bold yet classic embroidered Japanese motifs such as tigers, eagles, koi fishes, sakura (cherry blossom), and more. If you’ve watched the 2011 film titled ‘Drive‘, you would probably recognize this kind of jacket being worn by Ryan Gosling. Lately, there are a also growing number of celebrities (Katy Perry, Lady Gaga, Harry Styles, etc), clothing brands, and fashion icons who have started to promote, sell and wear sukajan jackets — and it’s no surprise as to why! TRIVIA: there are a lot of theories as to where the term ‘sukajan‘ came from; some say that it is an amalgamation of the phrase ‘Sky Dragon Jumper’ in Japanese, or that it is a shorter term for the Japanese words: ‘Yokosuka Jumper’ / ‘Yokosuka Kanagawa’ (which is supposedly the place where this kind of jacket was first made). The sukajan is said to be ‘born’ around post World War II in Japan when American soldiers started to ask for Japanese designs to be hand-stitched on the back of their jacket as a way of remembering their time in the country — hence the reason why a sukajan is called a ‘souvenir jacket’. Most of the designs showed eagles (as a way to represent the USA) mixed with Japanese elements such as that of dragons, tigers, cherry blossoms, trees, traditional maps, geishas, etc. At times however, the art would look more Chinese than Japanese and that’s because during those times, the Americans wanted more “Asian” designs on their jackets; therefore, the Japanese tailors would occasionally refer to Chinese silk pillows for inspiration. By the 1960s, the Japanese’s obsession towards the American style rose (called as “Ametora” in Japanese) wherein a lot of people started to wear American clothing like jeans and button-downs. But there are those who wanted to rebel from that kind of trend, so some Japanese people started to wear the sukajan as a statement piece of that defiance. Over time, the sukajan evolved into a symbol for those in the yakuza, those involved in gangs or those who are simply delinquents. Nowadays though, the jacket predominantly became a fashionable yet edgy piece, treated as a medium for self-expression and/or storytelling. Since my first visit to Japan was during sakura season, I opted to go for a jacket that shows exactly that. And since I’m a sucker for anything dark (especially when it comes to my clothing), I naturally sought for something in black. Kaila told me that they are selling these jackets on their ‘Japan Lover Me‘ store, so I immediately headed to their platform to pick a design that I wanted. …I swear to you, I had a hard time picking because there were just SO many cool designs to choose from! Eventually though, I found the perfect sukajan for me and it looked like this: koi fish and cherry blossom prints on one side, and a silver patterned design of dragons on the other. Clearly, the photo above shows 2 designs and that’s because most sukajan jackets are reversible; mine was like that and it totally felt like I purchased 2 jackets for the price of one. The value for this was around $200 — pricey BUT… with the quality, design, and reversible characteristic of this item, I absolutely felt that I got more than what it’s worth. That being said, I absolutely love my sukajan! NOTE: Rest assured, there are cheaper sukajan jackets up on ‘Japan Lover Me‘ store, and some could start as low as $40!!! The sukajan is truly more than just a bold and fashionable clothing since it can either be a piece that expresses your personality or a piece that retells your experience when you were in Japan. Other than that, it can surely make for one unique gift or souvenir. So what are you waiting for? There are over hundreds of designs that are up for grabs! To start, just go to the online store of ‘Japan Lover Me‘ to pick the jacket design(s) that you like. Upon checkout, you can choose to have it shipped to your address or you can also simply pick it up from them when you’re in Tokyo. BUY OUR OWN SUKAJAN NOW! DISCLAIMER: Japan Lover Me sponsored 50% of my sukajan. Still and as always, all views that are expressed here represent only those made by myself and NOT of any other entity in their favor. What do you think of the ‘sukajan’? Or do you already own one for yourself? How is it? Hi, where is the Japan Lover Store Me located? I love these! I'm going to Japan for the first time this year. I'm going to follow your lead, and get one as my souvenir from Japan. Great site! Awesome! Let me know once you get one -- I'd love to see the design! I love the one that you wear!